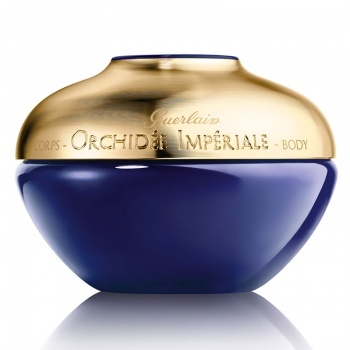 Envelop yourself in the sublime age-defying radiance of Guerlain Orchidee Imperiale The Body Cream, a luxurious ritual specially created for the body. 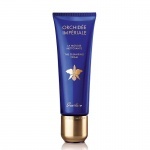 Rich yet silky to the touch, this lavish formula extends the same smoothing and firming benefits of the Orchidee Imperiale skincare collection to the rest of the body. At the heart of the formula is unique Gold Orchid Technology, a blend of 3 age-defying orchids that bestows a beautiful, youthful glow. 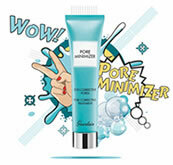 Added skincare benefits are provided by hydrating verbena, protecting yeast, toning rye and firming mallow. They give the body the same care and attention as the face, protecting it against rubbing, confined heat and environmental aggressors. 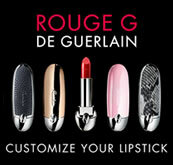 Exceptionally soft and smooth, the cream melts into skin for instant comfort. 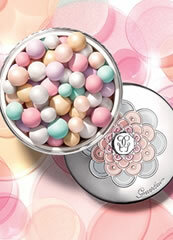 With regular use, skin appears sculpted, supple and more radiant.